This is probably one of the harder pieces I've tried to paint with all the tiny little detail on it, but it turned out great. I've recieved lots of compliments on the piece. It's a nice little set with several pieces, but I wish they hadn't all been stuck together and printed as one piece with supports to be removed. If you want multiples of just one item you either have to print several copies of everything or you have to seperate the pieces in either your slicer or a modeling program to get just the pieces you want. It's a nice little set with lots of pieces, but I wish they hadn't all been stuck together and printed as one piece with supports to be removed. If you want multiples of say one cup style or more candlesticks you either have to print several copies of everything or you have to seperate the pieces in either your slicer or a modeling program to get just the pieces you want. Hobgoblin 3D has put out a number of great STL files for 3D printing, the Travellers Carriage is certainly one of them. I printed out mine at the highest resolution possible, on my MakerGear M2 printer. Using eSun PLA filament, with a bare build plate coated (reasonable, no need for more than 3 strips X and 3 strips Y) with purple Aquanet Hair Spray. I split the parts between two print runs, the wheels, front axel, undercarriage and front seat which all need supports. The second print has the main body, side panels and the luggage rack (the PLA bridge very well for the top rail) without supports. It printed great, with the usual surface result for those pieces that required supports. The rougher surfaces are concealed, for the truly picky you can use some Bondo and sand down to a much better finish. One of the nice feature is that the front axel snaps into the undercarriage without needing glue and is able to turn. Overall, I say that this model rivals the work of Printable Scenery and is silghtly better in terms of crisp details what a person can expect from Fat Dragon (I am a fan of Fat Dragon 3D models as well). First, let me say that even though I found this particular model disappointing, I'm still considering trying another of their files. The aesthetic problem I had with this column is that it matches the picture, which I seem not to have looked at closely enough. The top and bottom pieces look very nice, but for the middle one the vertical part of the column isn't uniform in thickness. (Especially noticable is the curvy narrowing in the top third.) The mechanical problem I had was with the notches/pegs to align/hold together the three pieces. I love the idea, but the sizing seems to be off, as I cannot get the pieces to sit against each other. (The bottom piece will go in about halfway, but the top barely at all.) I'm giving it a rating halfway between good and bad because I can file off the pegs and glue the pieces together, and because I suspect "perfectly straight horizontals" is something non-commercial 3d printers don't do well. Really liked it. I printed a handful of these for treasure tokens for frostgrave. The print lines are hardly there since the woodgrain works well with it. After printing out the Throne of Forlorn, that came out fantastic, I figured to give this one a try. I wasn't disappointed. The print came out stunning. Details all over the place. This is a great one to add to that evil lair. I have printed several of these items. All are great. Very clean prints and very detailed. They are designed to print with no supports and come out fantastic at 100 microns. Great pieces to add to your tabletop RPG! I printed this out to see how it is and wow was I blown away with the details in the model. An awesome piece to use for that big boss battle at the end of the adventure! This thing is epic. A good quality clear filament, some LED's, a little engineering, and you've got an EPIC light up portal. I've never had players who steered away from a challenge before. They took one look at this and said "if you've gone that far to make something super awesome, it must be certain death"
Perfect for the big baddie at the end of your dungeon! 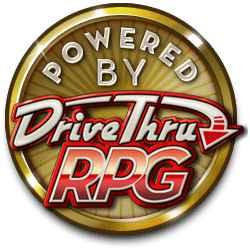 RPG'ers rejoice! This throne is a pretty solid example of the type of objects that turn a good game into a memorable and great game. I've only seen a handful of terrain extras that make people at the table say "wow" and this was one of them. 5/5. The bundle pack is a pretty solid deal. It has enough variety and unique art to ensure a fantastically decorated dungeon, church, castle keep, or dollhouse--whatever project you're working on! The Hobgoblin crew definitely has a lot of passion and puts out a quality line of art. 5/5.